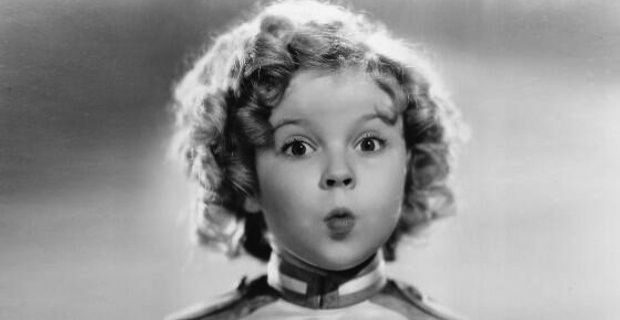 BREAKING NEWS: The family of iconic American actress Shirley Temple has confirmed that the former child star has just passed away aged 85. The all-singing, all-dancing Hollywood artist was born in 1928 and started out in the film industry at the tender age of three, gaining international popularity with the 1934 black and white movie 'Bright Eyes'. Shirley Temple become a fixture of Twentieth Century Fox's comedy-dramas of the thirties, with her golden curls and chubby cheeks conquering everyone's heart on both sides of the Atlantic. In 1935 the actress was consecrated to the Olympus of international stardom when she was awarded a tailor-made Oscar, with US president Franklin Delano Roosevelt later crediting her for helping raise morale during the Great Depression of the years leading to World War II. He was quoted saying: "During this depression, when the spirit of the people is lower than at any other time, it is a splendid thing that, for just 15 cents, an American can go to a movie and look at the smiling face of a baby and forget his troubles." But as the talented sweetheart approached the teenage years, her movies began to flop and roles became scarce. In the 1940s she attempted a comeback with little success, after which she decided to marry Army Air Corps sergeant John Agar and devote herself to family life. Having given up the silver screen for good, the Hollywood star periodically resurfaced on TV. Taking inspiration from the mildly successful 1958 NBC TV show 'Shirley Temple's Storybook' the actress developed a series of fairy tale children's books as well as other items of merchandise, which turned out to be a very wise business choice. Towards the end of the sixties she also became involved in politics, unsuccessfully running for Congress in 1967 with the Republican Party.